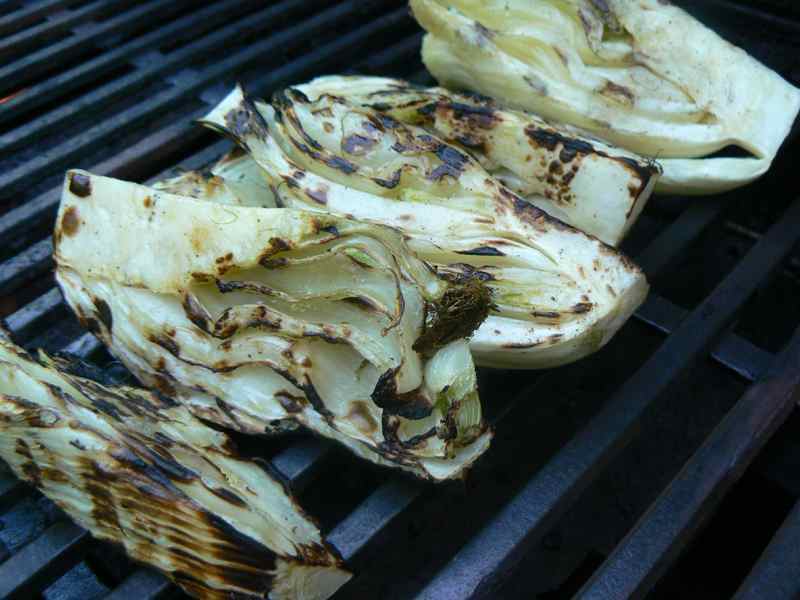 Fennel has a very distinct licorice flavor and when it’s grilled becomes a tender, melt-in-your-mouth experience you don’t want to miss. Trim the tops off the fennel. The stringy parts can be used as an herb in your cooking, but aren’t needed for this recipe. You can even use the stalks in place of celery in some recipes, but realize they’ll have a much stronger flavor than celery. Trim the bottom of the bulb and then cut the remaining bulb lengthwise into quarters. Rub with olive oil, salt and pepper. 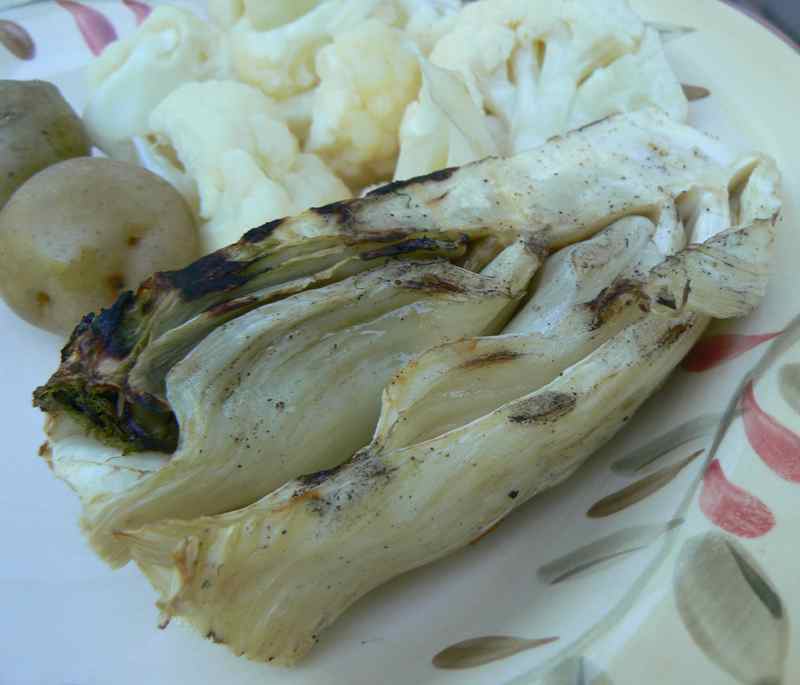 Place on grill at medium heat to sear the fennel. 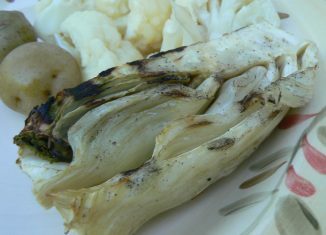 Move to indirect heat, with the cut side up, and cook covered for about 45 minutes or until fennel is very soft. You can tell when it’s done by texture, rather than time. You definitely want to make sure it’s tender.